Introducing the ARAW Token, the heart of the decentralized payment ecosystem powered by the Ethereum Blockchain, we are aiming to increase blockchain adoption for regular people across the world. We are the first company in the world whose mission is to combine the benefits of the E-Commerce and Payment industries provide end-to-end solutions for E-Commerce Marketplace, Touch & Pay Cryptocurrency Card, Online Cryptocurrency Payment, and Unified Reward System on the Ethereum Blockchain powered by the ARAW token. The goal of the ARAW token is to be a part of everyone’s day-to-day online & in-store shopping without needing them to change their shopping behavior or understand the underlying complexity of the Blockchain technology. 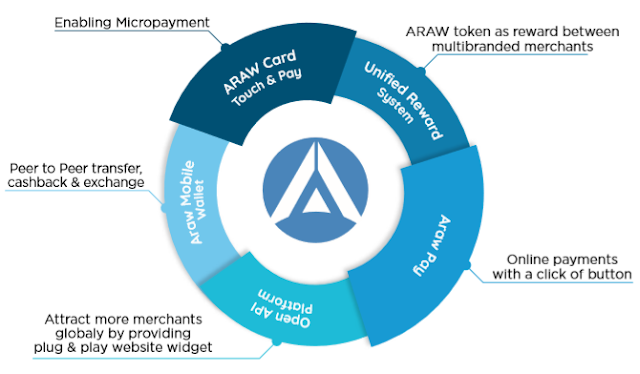 The ARAW token and its unique infrastructure offer e-commerce and service-providing companies to standardize reward programmes as well as expose the regular people to the cryptocurrency economy. Our solution is completely transparent and strives to make cryptocurrency accessible to the regular people. 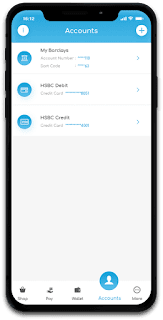 From the customer perspective, there will be no habitual change - for example, one of our offerings include the Araw Touch & Pay card to be used in tandem with everyday micropayments. The Araw Platform offers a practical solution to the problems outlined above as well as the potential to become the practical heart of e-commerce and cryptocurrency combined. It strives to reward shopping with cryptocurrency by exposing the common person to the ARAW token. The key focus of ARAW is giving effortless access to cryptocurrency ownership which comes with a potential rise in value - without dealing with any of the underlying complexities which make cryptocurrency unattractive. The Unified Reward System seeks to transform the poorly utilized loyalty industry by fusing the shopping reward potential of all retails together regardless of the product - focusing on rewarding the individual with cryptocurrency market access as well as a form of investment. With our technical offering, we seek to support individual sellers as well as enterprise vendors. The ARAW token can be adopted in any location - this global decentralized potential represents a virtually limitless growth of the token. This adoption will be seamless as we seek to penetrate e-commerce platforms as well as regular retail shops, without introducing any habitual change from the user perspective. 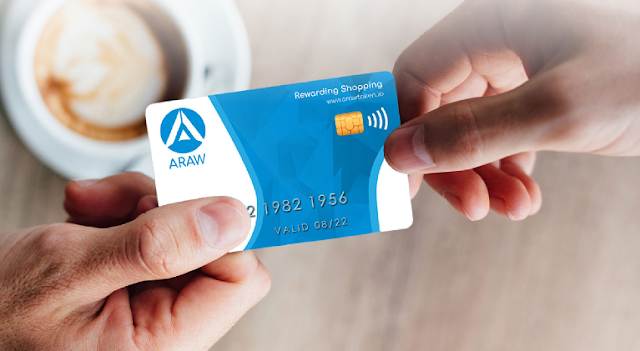 Araw Touch & Pay Card is our single card solution for all reward programmes a shopper may be interested in - the first of its kind in the UK. It allows customers to earn ARAW tokens with their daily purchases as well as pay using accumulated ARAW tokens. This ensures that an average customer can easily adopt the use of the card due to its similarity with existing technologies - but now empowered with ARAW tokens which hold intrinsic value and never expire. This offering allows the ARAW token to have a practical daily use which cryptocurrency has been struggling to fulfill as the token value was previously disconnected from its contextual use until now. 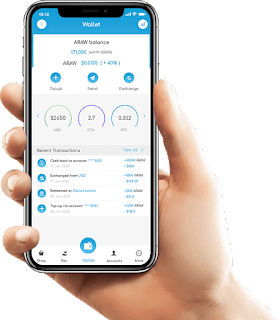 With seamless banking system integrated with the Araw Platform, Customers will be able to buy ARAW tokens using linked bank accounts. They will also be able to exchange ARAW tokens with fiat and send cash back to linked accounts. 0 Response to "ARAW - The Decentralised Payment for E-Commerce Ecosystem"